I had a flying visit to Inverness with work, up on 20th March, back on 22nd March. The journey from Euston to Inverness wasn’t entirely without incident; but nothing really happened if that makes sense? 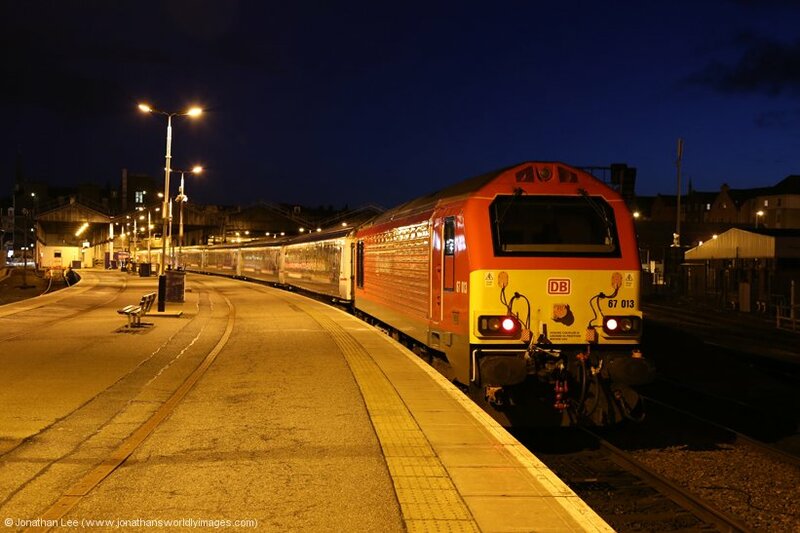 the run down the WCML with 92018 wasn’t as smooth as I’d expected it to be, especially on Beattock, and the stop in Edinburgh was a bit sharp! Once 67013 was on the train the run north of Edinburgh was a lot smoother but when the air-con started intermittently cutting out, thankfully north of Kingussie, I though 67013 might have been in trouble. It turned out that condensation in one of the coach jumpers had been causing the issue. 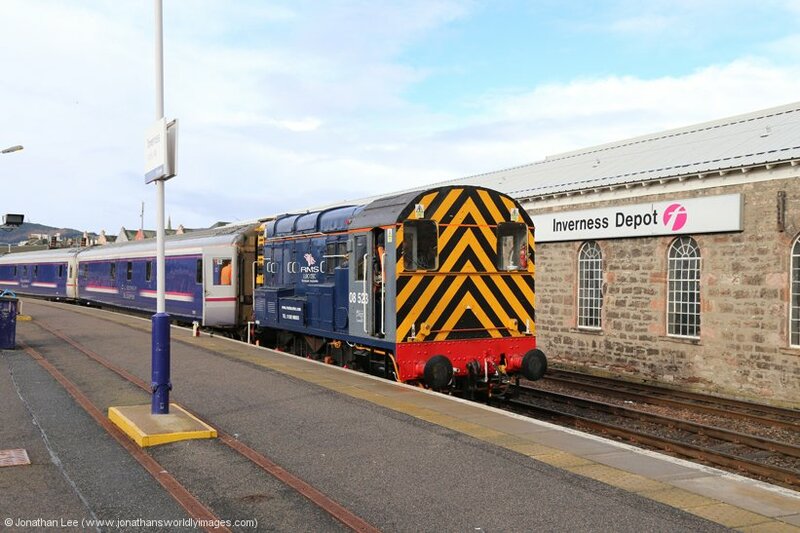 At Inverness 08523, on hire to Serco, is used to shunt the stock ex 1S25 onto IS TMD, via the carriage washer. It’s then tanked and serviced, before being shunted back into platform 2 by the booked train loco; with the 08 then being tucked away inside IS shed until the following morning. 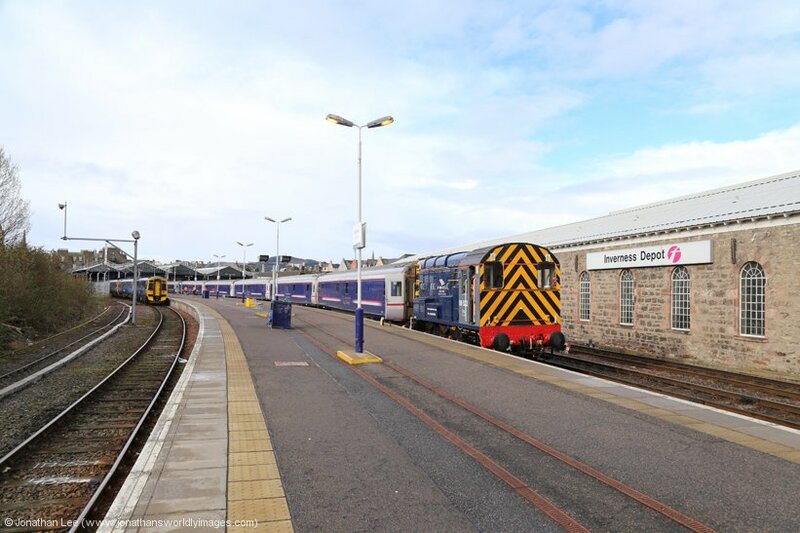 Any coaches that have ended up being “wrong turned”, as it’s known in the trade, are turned individually at Inverness via the Rose Street Curve. 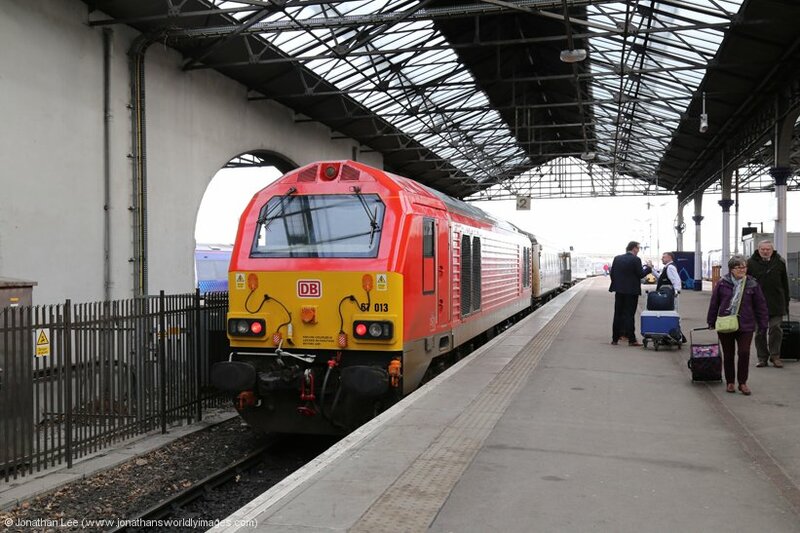 Due to the length limit in platform 5 at Inverness, only one coach can be turned at a time, and due to time constraints caused by available margins to do the move through platform 5, generally only one coach can be turned per day. The turning move slot is usually around 11-1130. 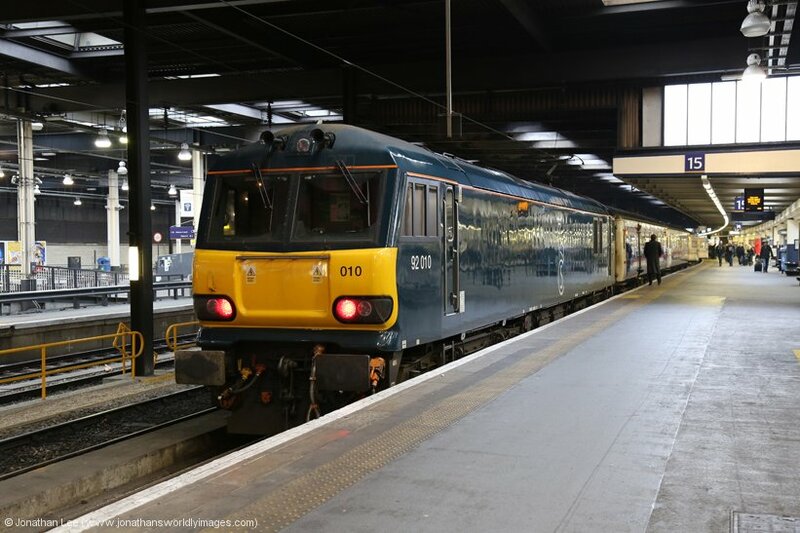 Under normal circumstances 90043 would have worked 1M16, having worked north on 1S25 the previous night after 92033 had issues at WN TMD, but due to 92010 needing to be in London for an exam, 90043 worked 1C11 2340 Edinburgh – Carstairs instead and 92010, having come to Edinburgh on 5C11 2043 Polmadie – Edinburgh, then worked 1M16 instead. 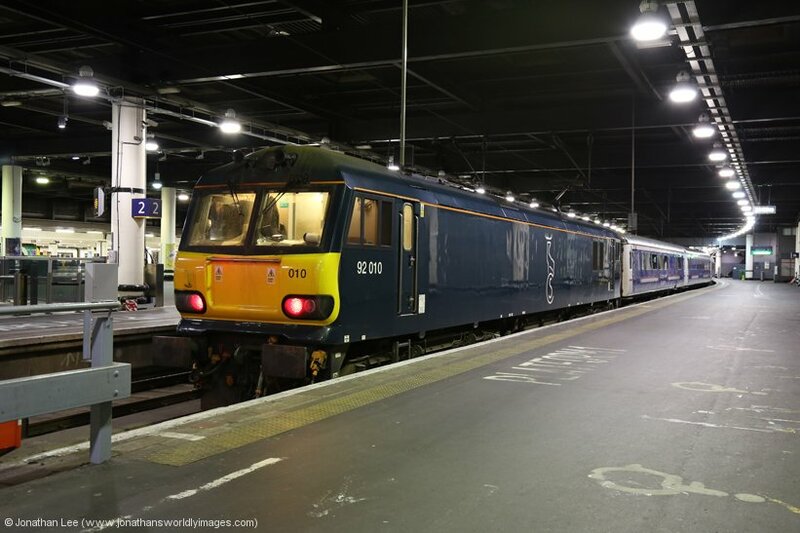 The run from Edinburgh to London with 92010 on 1M16 was worse than the run up with 92018 on 1S25, especially going up Beattock & Shap and not a great deal of sleep occurred on the journey back to London unfortunately. Still, 1M16 was a few minutes early into Euston and I was grateful for being able to amble to Kings Cross to make my train home. 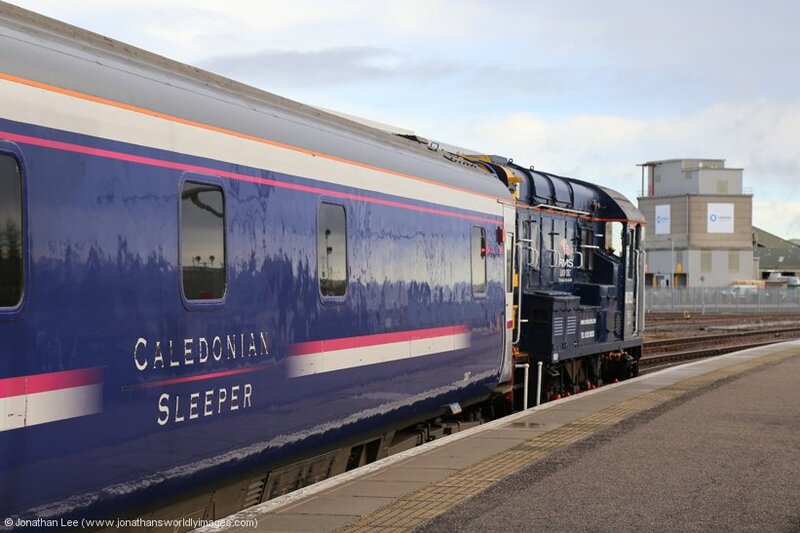 It was an interesting trip and a visit to IS TMD, which I’d not been round for almost 30 years, enlightened me on just how the sleeper operation is run at Inverness.